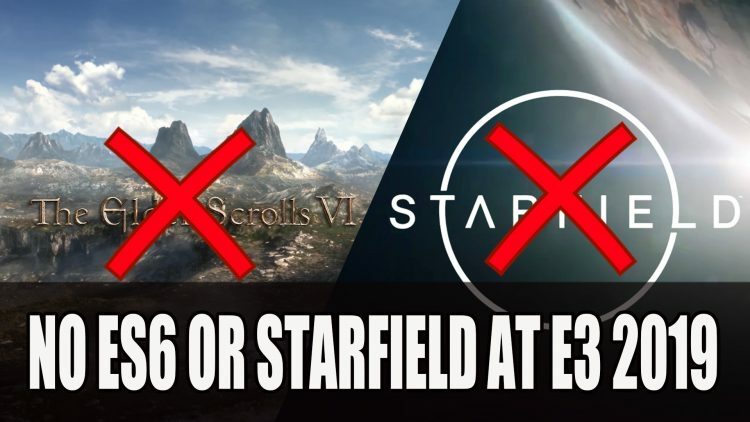 While we’ve been speculating what Bethesda will be showing at their E3 2019 show since they have confirmed they would be attending, Bethesda Todd Howard puts a damper on more The Elder Scrolls VI or Starfield details. During Elder Scrolls’s 25th anniversary stream, the director of Bethesda Todd Howard shared that The Elder Scrolls VI and Starfield will not be part of their E3 2019 lineup. It was at last year’s E3 when both games were confirmed to be in development. While their “save the date” tweet image includes a star studded #BE3 and a dragon flying in the background, looks like they were not teasing more ES6 or Starfield. But there was some positive news as Shirley Curry dubbed as “Skyrim Grandma” will be getting her very own in-game NPC, immortalising her in the Elder Scrolls universe. This also showed off the new scanning technology called Photogrammetry which lets developers scan real-life objects and people, rendering them in highly detailed 3D. Bethesda are using real life environments and putting them into their next game, making for highly realistic visuals. With two of these major titles off the roster, Bethesda fans can look forward to DOOM Eternal which has already been confirmed as well Wolfenstein: Youngblood. Expect more information to be released running up to the press conference which is set for June 9th 2019. For more E3 2019 news you can find it here in Cyberpunk 2077 Developer CD Projekt Red Announces E3 2019 Will Be Their Most Important One Yet and Ubisoft Announces Dates For Their E3 2019 Press Conference.